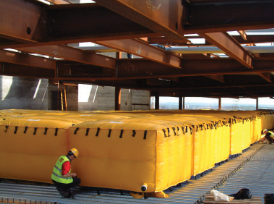 Airtek World Ltd, industry leader in health and safety solutions…. Since its formation in 2012, Airtek World Ltd (formerly the Airtek Group of Companies) has been an industry leader for the provision of health & safety solutions for both the construction and transportation industries. 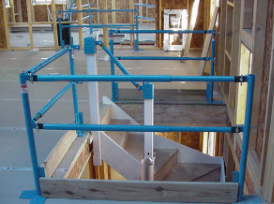 The risks associated with such activities as falls from height, manual handling and site traffic movement can all be mitigated by the utilisation of the large portfolio of products on offer by Airtek World Ltd. Many of the products have won industry awards and have become the preferred safety solution on construction sites all across the UK. Increasingly, we are designing and manufacturing bespoke air bag systems for such activities as aeroplane maintenance, bungee jumping and climbing walls. 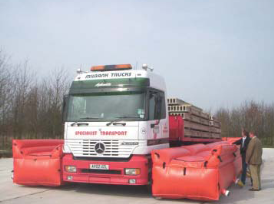 By working closely with the Health and Safety Executive, Airtek World Ltd has managed to stay abreast of the recent changes in legislation (both within the UK and the European Union) and constantly updates and evaluates its suite of products, whilst designing innovative new solutions to address the ever increasing needs of its customers. 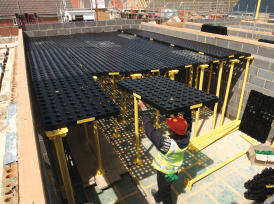 Whether you need passive fall arrest systems (such as our AirMats and our Truckmats), safety decking platforms or stairwell protection, Airtek World Ltd has products and qualified installation teams that can meet your requirements. With flexible terms for either hire or purchase and a national network of depots across the country, Airtek World Ltd is well placed to service any need, anywhere, and at any time within the UK. We can also supply to Europe and the Rest of the World, and are interested to hear from other companies who might like to operate under a licensing agreement in order to service their local domestic markets.